Lehigh County positioned in the corridor between Philadelphia and New York City, with quick and easy access to both of these major metropolitan areas. The area is accessible via I-78, Rt.22, Rt.309, Rt.33 or Rt.476 (Pennsylvania Turnpike). Lehigh County also has a thriving cultural scene, with stage theaters, art museums, and amusement park with world-class coasters and water slides, premier bicycle racing track, Class AAA minor league baseball, Lehigh Valley Zoo, historical sites, colleges and universities, and lots of arts and music festivals. Lehigh County neighbors the East Coast's major markets. Regular commuters realize the ultimate convenience of our central location and transportation options. The Lehigh Valley International Airport provides both commercial and private air facilitates. Lehigh Valley International Airport offers full-time customer service and non-stop flights to many U.S. cities. Our "superhighway and railway" networks and strategic geographic locations help make these markets 100 percent accessible. One-third of the U.S. population lives within a comfortable one day's drive, and one-half of Canadian businesses are within 500 miles. 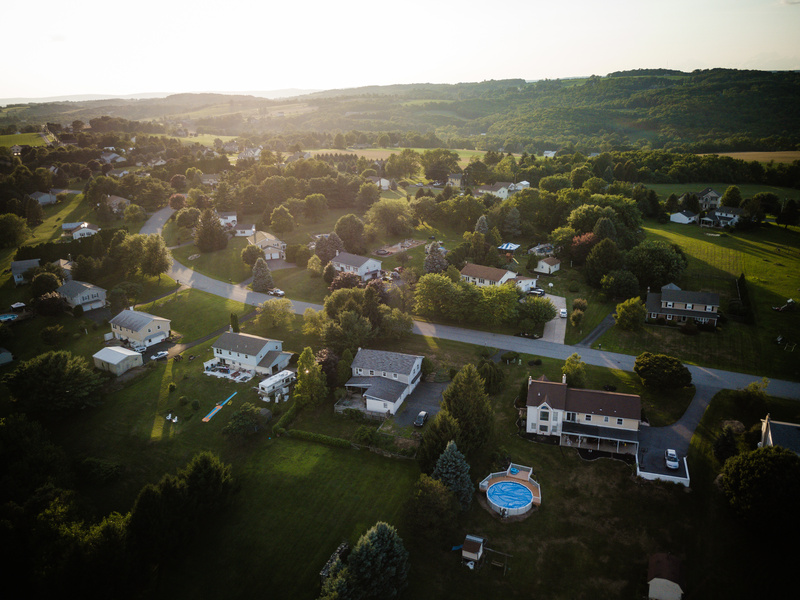 Our community is comprised of 347 square miles of rolling hills including over 18,000 acres of preserved farmland and a network of more than 17,000 acres of outdoor recreational parks that offer extensive leisure opportunities. Lehigh County’s Department of Community and Economic Development (DCED) is committed to creating a vibrant Lehigh County by focusing on economic growth, revitalization of our cities and boroughs, regional partnerships with our twenty-five municipalities, and enhancing the quality of life of our community. The Department’s grant and housing programs are designed to support high priority projects that enhance the quality of life, the arts and the community and our housing programs are designed to make housing safe, affordable and sustainable. Lehigh County works in conjunction with Lehigh Valley Economic Development Corporation (LVEDC), community organizations, other economic development groups and the Workforce Investment Board to help enhance programs and create opportunities in the County. Please visit the Discover Lehigh Valley to see more of what the Lehigh Valley has to offer.